Eureka Planning Commissioner Jeff Ragan. Photo by Ahron Sherman. Fourteen years have gone up in smoke since Californians passed Proposition 215. Tuesday, Eureka's Planning Commission voted 4-1 to recommend the city's first medical marijuana ordinance to the Eureka City Council. The ordinance -- Medical Cannabis: Cultivation, Processing and Distribution -- seeks to regulate personal grows and cooperative grows. People with 215 prescriptions will be able to grow and process enough marijuana in their own homes for personal use, said Community Development Department Director Sidnie Olson, but they'll need to keep their gardens to less than 50 square feet per residence. On top of those regulations, the Planning Commission recommended placing a cap on how many production and distribution facilities are allowed within Eureka. Production facilities are places where large amounts of pot are grown and harvested; the commission voted to limit Eureka to four. Each production facility would be allowed two dispensaries, but the second one opened must be on the production facility's grounds. The commission also recommended limiting dispensaries in Eureka that receive pot from outside Eureka to no more than two. Commissioner Jeff Ragan, the one vote against the ordinance, was not happy with the limits placed on production and distribution facilities. He wants more. "I'm comfortable with a cap of zero," said Ragan -- at least until additional questions are answered. What happens when home invasions spread to cooperatives, he wondered, What happens when future administrations' federal policies change? Toxicologist Janet Weiss spoke during the public forum of Tuesday's meeting. She asked the commission to adapt product safety testing and labeling regulations into the ordinance and presented the commissioners with packets of information that she prepared on the subject. Treat medicine as medicine and regulate it, said Weiss. The commission agreed to include her recommendations when the ordinance is presented to City Council. 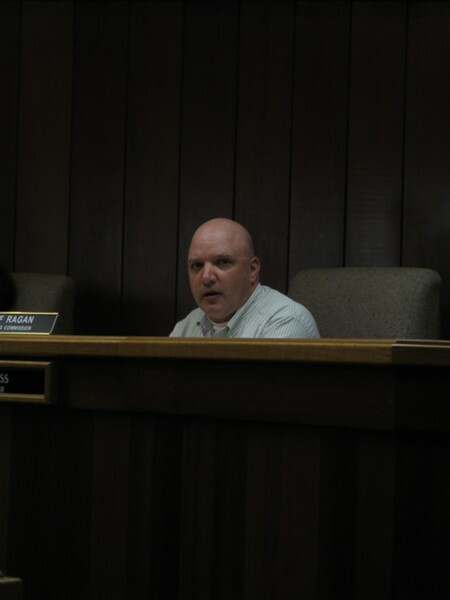 High Sierra NORML Regional Director David Kasakove was pleased with the meeting, and said it makes a big difference when perspectives other than law enforcement are considered when considering marijuana legislation. "Meetings like this bridge the gap between the city and legal users and growers," said Kasakove.